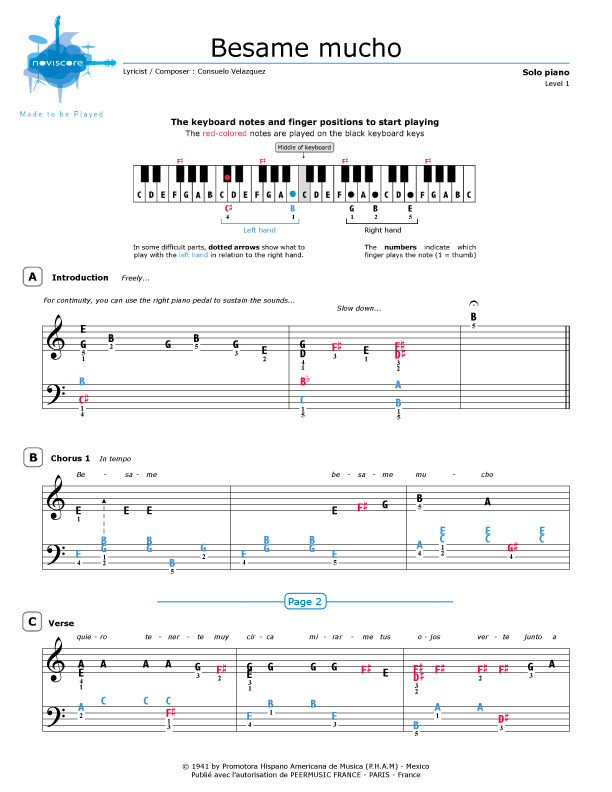 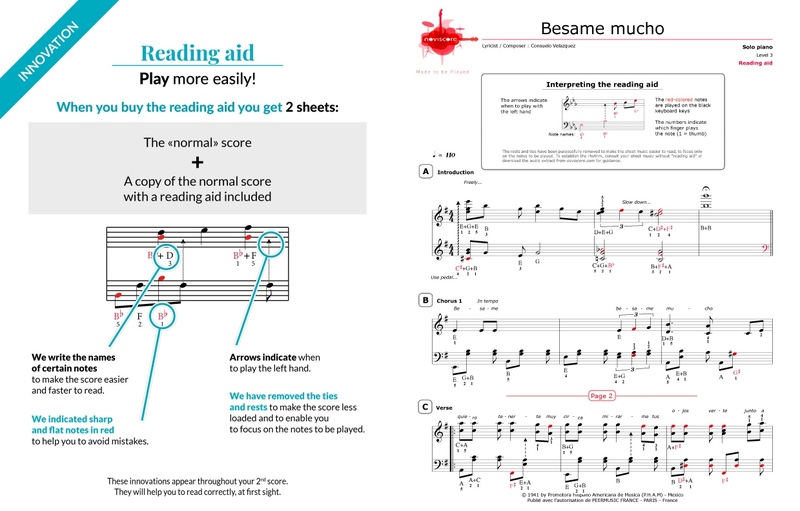 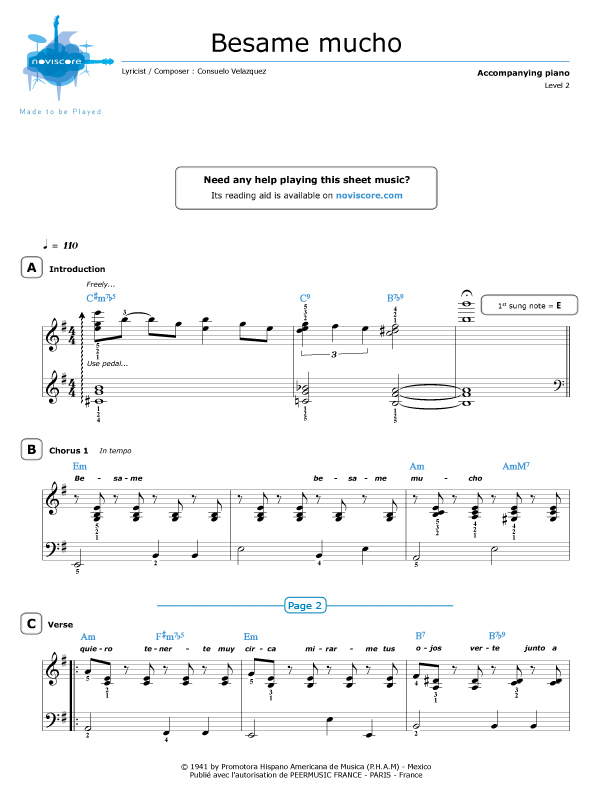 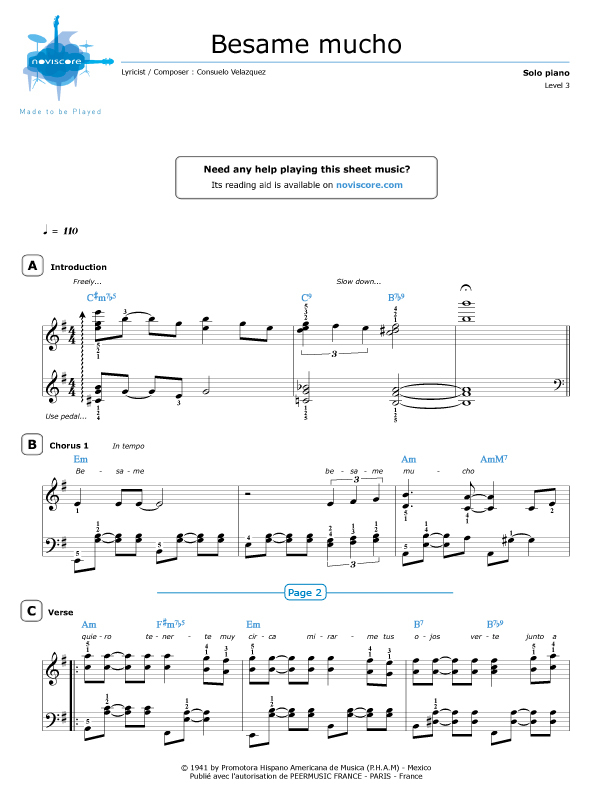 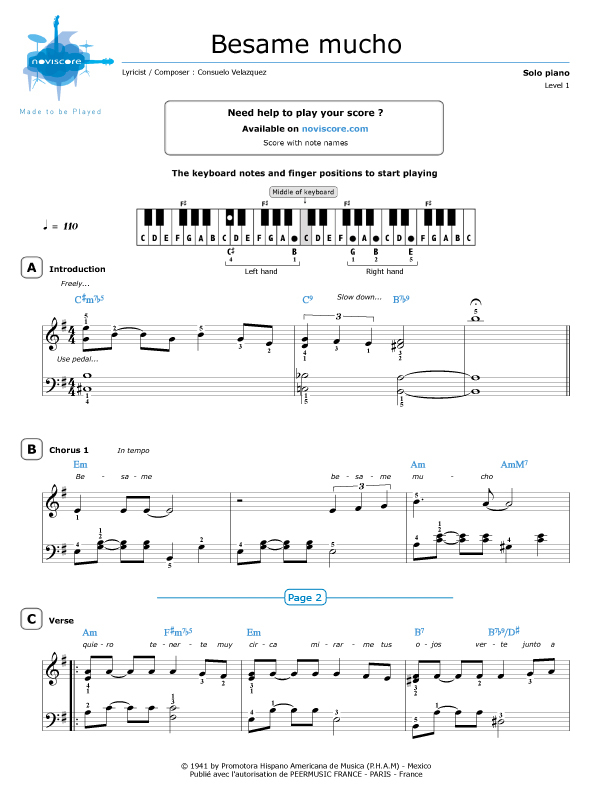 Our Besame Mucho piano sheet music gives the opportunity to play one of the most popular Spanish songs ever. 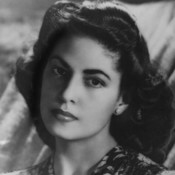 Written in 1933 by the Mexican pianist and singer Consuelo Velázquez, Besame Mucho (Kiss me a lot) has become a hit worldwide and has been sung by such prestigious, international artists as The Beatles, Luciano Pavarotti, Cesaria Evora and Louis Armstrong. 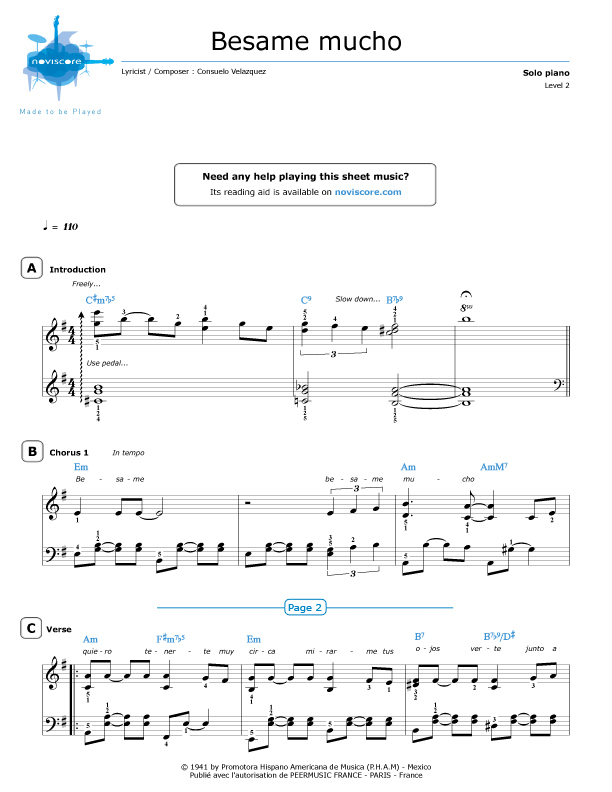 Whether you are a beginner or a confirmed pianist, you will certainly find the right sheet music for your playing ability. If you have trouble reading music, you will enjoy our level 1 easy piano music with note names instead of the usual symbols and, for more experienced players, reading aids are available.